Jaime Sandoval has been gracing musical theater stages in the Chicago area for many years, playing a wide range of roles from Nathan Detroit in Guys & Dolls to the Leading Player in Pippin. He brings a wealth of experience and talent to the wise-cracking Seabee with a heart of gold Seabee, Luther Billis. Jaime last appeared at Summer Place Theatre as"Moonface" Martin in Anything Goes in 2017. 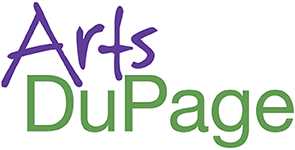 Nancy Gallman Witzke is a rhetoric teacher at Joliet Junior College and brings years of choir singing to her first production at Summer Place Theatre. Nancy shared her thoughts on being in South Pacific as we celebrate the 70th anniversary of this American musical theater classic. Pamela Hart is taking the stage at Summer Place Theatre for the first time with the lead role of Ensign Nellie Forbush in South Pacific. A kindergarten teacher and theater veteran, Pamela shared her thoughts on musical theater, being in this production, and how if feels to play such an iconic role. Christina is making her Summer Place Theatre debut this summer as a Nurse in South Pacific, but she has been dancing and performing since she was a child. We asked her a bunch of questions so you can get to know this fine young actress. We're in love (we're in love, we're in love, we're in love...) with our wonderful cast! Summer Place Theatre is pleased to announce the cast for our first show of the 2019 season, South Pacific.